Essential training for all students new to NUI Galway - in just 30 minutes you will learn how to find your way around the Library, what services are available and how to find the books you need in the Library. You can book a place or Just Drop In! Please note that the Library will be closed at 17.30 sharp on these dates, so please collect your belongings in plenty of time. Normal opening hours will resume on January 11th. Wishing all our students and staff a very happy Christmas! 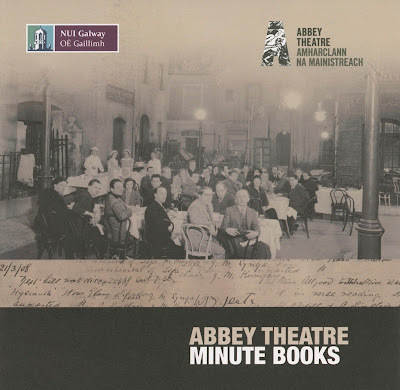 This week the Abbey Theatre/NUI Galway Digital Archive Partnership made freely available online the digitised minute books of the Abbey Theatre 1904 – 1939. As part of the Yeats2015 celebrations, the online digital archive of Abbey Theatre Minute Books will be made available to the public for the first time. Collectively, the minute books amount to nearly 1,000 pages, covering some of the Abbey’s most significant events from the period 1904-1939, being the period that spans Yeats' lifetime. 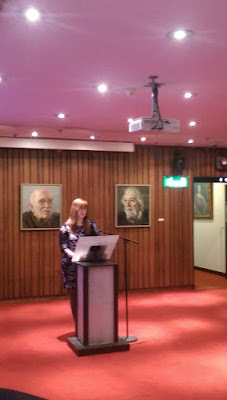 'A Digital Journey Through Irish Theatre History', the Abbey Theatre - NUI Galway Digital Archive Partnership is the largest digital theatre project ever undertaken, and heralds a new era in Irish theatre scholarship, both nationally and internationally. Previously unseen, the Abbey Theatre Minute Books include the period in history when both Lady Gregory and W.B. Yeats were involved in the management of the Abbey Theatre. The Abbey Theatre minute books contain notes from meetings of the theatre’s Board of Directors. They offer a fascinating glimpse behind the scenes of the theatre, showing how the Abbey’s managers dealt with a variety of issues, from choosing plays to determining how much to pay their actors.Along the way, we find important information about leading figures from the Irish Literary Revival and beyond: not just W. B. Yeats, Lady Gregory and John Millington Synge but Sean O’Casey, Lennox Robinson, Teresa Deevy, Sean O’Faolain, Frank O’Connor, and many others. We also learn about great Irish actors such as Molly Allgood, Ria Mooney, Barry Fitzgerald, Cyril Cusack and many more. The minute books allow us to understand better how theatres are run. Yeats wrote about his approach to theatre business in a poem that was tellingly called “The Fascination of What’s Difficult”, cursing “plays/ that have to be set up in fifty ways”. Here we find Yeats encountering all sorts of difficulties - from the threat of government censorship of Sean O’Casey’s The Plough and the Stars in 1926 to the leaking of his late play Purgatory to a Jesuit priest in 1938. And those difficulties are indeed fascinating. Dr Charlotte McIvor, lecturer in drama and performance at NUIG, said that the books contain valuable information for scholars and teachers. She said: “I think they are going to be very important in explaining to students the different kinds of labour involved in running a theatre.”Dr McIvor said the books document “in minute detail” the decisions of the board right down to discussions about whether or not to allow cigarette smoking in the theatre. “I think you could honestly take any two pages in these books and build a successful lesson around it,” she added. We also learn much about the day to day activities of keeping a theatre in business: the struggles to find appropriate funding, the actors’ requests for extra money or time off, and the maintenance of the building. And of course we learn much about Ireland, both before and after independence. The Abbey Theatre famously was the first state-subsidised theatre in the English-speaking world, earning funding in 1925 from the newly independent Irish Free State. In the new version of ARAN the official published version of each article is explicitly promoted. When we started our 3D printing service back in September we had just one Ultimaker 2 printer which we thought would be enough to satisfy demand. Soon we realised how slow 3d printing is and found that there was no way we could provide a service with just one printer. Many of the models we print can take more than 4 hours to print and some as long as 8 hours or more. Luckily we were able to purchase a second Ultimaker 2 and also managed to get the RepRapPro Mendel 3 that we built calibrated to where we now have 3 printers working. We had also planned to have the Makerspace area open by now but delays with furnishing the space have meant we could concentrate on the 3D printing service. The Makerspace itself will open January 2016 for definite. To date we have printed over 150 different models for staff and students. Some of the models were for students studying Biochemistry, Engineering and Biomedical Engineering and were part of their 3rd year projects. Other items were for post graduates to be used as part of their research. We did also print some items just for fun which is of course important too (both students and staff). It has been a steep learning curve for staff of the library as 3D printing was new to us and we had a lot to learn. For instance you rarely print a 3D model 100% solid as that would take too long. There's a fine line between how solid you print an item (typically 20%) and it still being strong enough to be of use. Another thing we quickly learned is you need to keep an eye on the print job as it builds. If for some reason the model gets detached from the print bed it causes an awful mess because the printer continues to print into mid air. This does happen quiet a lot and we then have to print the item a second or third time. 3D printers are also plagued by technical issues such as the print bed not being level or a bad spool of the print filament ﻿resulting in constant blockages at the print head. Unblocking a 3D print head it not easy as the opening you are trying to unblock is .4 or .5 mm in diameter. Thankfully we have worked through many of the issues with support from both Ultimaker and RepRapPro and can now pretty much resolve any issue that arises. We look forward to printing a whole range of items for both staff and students in 2016 and are pleased to announce we are able to offer the service FREE of charge until the end of March 2016. To find out more information on the 3D printing service just search for 3D printing NUI Galway or visit our service page http://www.library.nuigalway.ie/3dprintservice/. 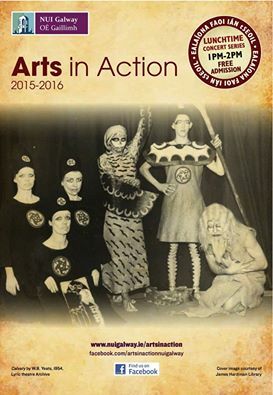 New Play From the Archives Staged as part of 'Arts in Action'. As part of the Arts in Action programme, drama students from Galway and Belfast, Martin Kenny, Luke Bannon and Sarah Blair performed a new play, 'Fighting the Waves', based upon the archive material held within the Lyric Theatre Archive, of the Hardiman Library. The play written and starring Caroline Lynch, depicted the life of Mary O'Malley as she dedicated her life to establishing a new theatre in Belfast, during a volatile time in the backdrop to growing social unrest and the eventual conflict of 'The Troubles. The play explores this birth of a new theatre that was hugely influenced by the writing of W.B. Yeats. The play was researched by Barry Houlihan, Archivist at the Hardiman Library and organised by Mary McPartlann, with support from the Centre for Drama, Theatre and Performance. 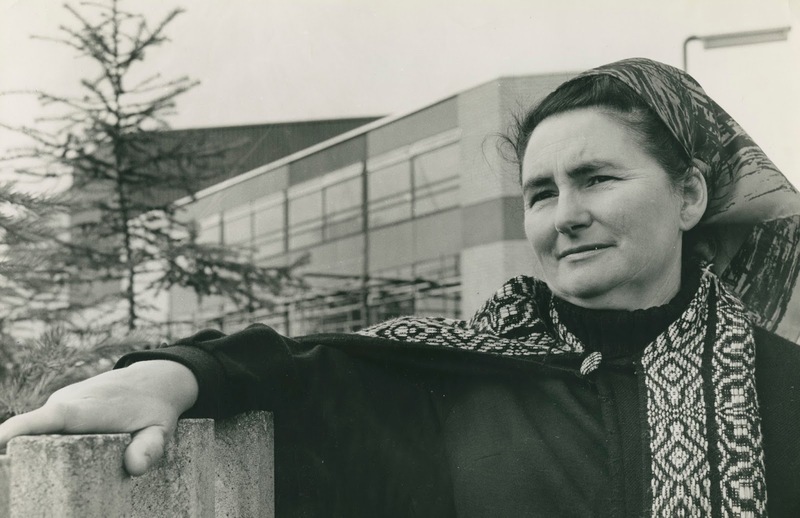 The Lyric Theatre archive contains a detailed account of the growth and development of the theatre and its founding director, Mary O’Malley. The play explored the huge range of records kept by O'Malley in the Lyric archive and presented a live event that drew the audience into the Yeats-inspired Belfast and world of Mary O’Malley and the birth of a new theatre across a time of immense social, political and artistic change. This collaboration is a unique occasion for the student actors from Galway and Belfast to meet and work together on a project whose central character was full of determination and belief in the power of theatre to bring individuals together and turn them into a group whose power is greater than the sum of its parts. 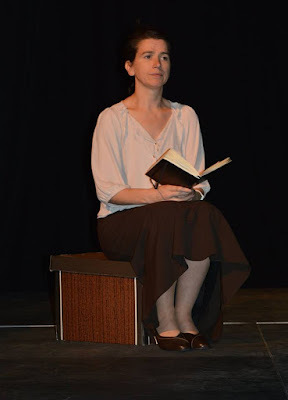 By exploring the Lyric Theatre archive of the James Hardiman Library, the story of Mary O’Malley’s journey and the history of Yeats’ work in Northern Ireland reached new audiences in this the 150th anniversary of the birth of W.B. Yeats. 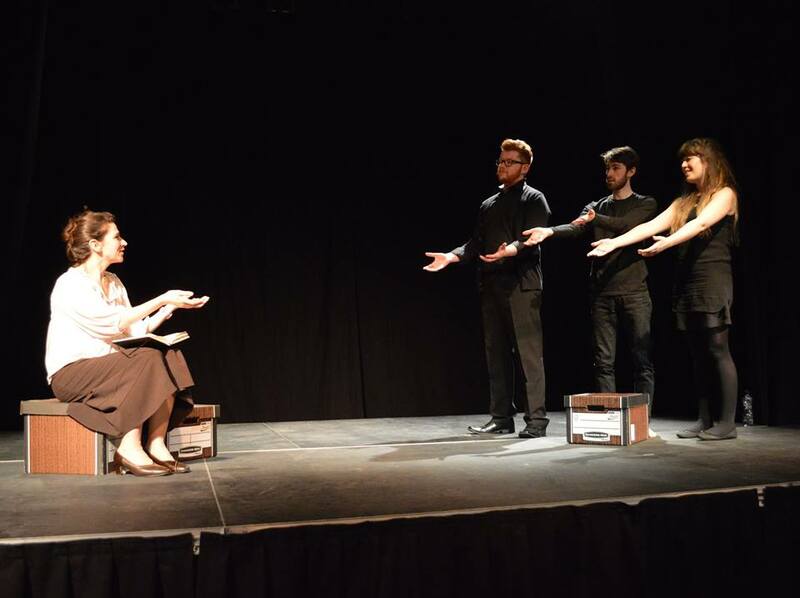 The play was presented to a packed Cube at the Bailey Allen Hall on 19th November and was also presented at the Lyric Theatre in Belfast. Mary O'Malley pictured at the Lyric Theatre, Belfast. Minister for Arts, Heritage and the Gaeltacht, Heather Humphreys T.D., launched NUI Galway’s 1916 Programme of Events, ‘A Nation Rising: Commemorating 1916 and Beyond’, as part of the Ireland 2016 Centenary Programme. The event took place in the Archives and Special Collections Reading Room of the Hardiman Library where Minister Humphreys, along with Dr. Jim Browne, President of NUI Galway, and members of the organising committee, officially launched the programme, which will be a year-long programme of celebration, understanding and questioning of Ireland's revolutionary period, at the heart of which was the 1916 Rising. The programme will focus on the women and men involved in the lead-up, during and aftermath of the Rising, focusing on how this major event was experienced and felt in the West as well as influenced by those who were based there or had connections there. Events will features a major exhibition, drawing on the archival holdings of the Hardiman Library; conferences and seminars; lectures as well as artistic, dramatic and musical performances with established and emerging artists. 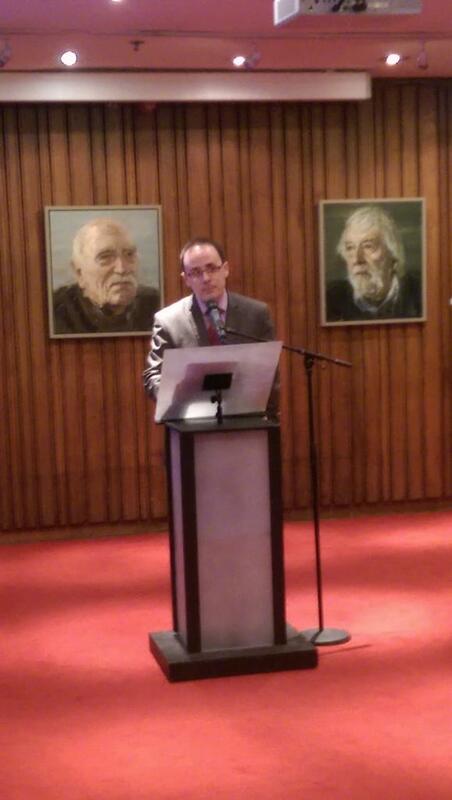 The programme will also reflect both English and Irish language perspectives. It will also reach out to the wider community, sharing knowledge through public talks, festivals and workshops. Minister for Arts, Heritage and the Gaeltacht, Heather Humphreys TD, with President of NUI Galway Dr Jim Browne and PhD Scholar Dara Folan. 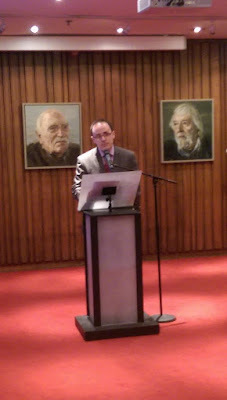 Dr Jim Browne, President of NUI Galway, added: “The men and women who shaped the events of 1916 had different backgrounds, beliefs and ideas, but they shared a drive to create a better Ireland. As a nation joins together to commemorate their vision, so too does our diverse university community. I am delighted to see so many colleagues contributing to the programme from across many disciplines, in particular from the Arts and Humanities. The expertise, energy and passion they bring to the commemoration is a fitting tribute to the legacy of 1916." The University has appointed a 1916 Scholar in Residence to co-ordinate and curate many of the events in the University’s Commemorative Programme. Based in the Moore Institute at the University, Dr Conor McNamara will conduct research on the 1916 Rising and its context in Co. Galway and the West of Ireland. He will prepare a catalogue of resources, in English and Irish, from the University’s archives and elsewhere, with a view to facilitating future research on the revolutionaries of 1916-23. Throughout the year, he will also engage with local community groups across the country, and assist with a planned exhibition marking Galway’s role in the Great War and the Irish Revolution. For a Friday it was very busy at the library entrance at 8:30 this morning. Still plenty of spaces free upstairs and we are open until 10pm tonight. How to keep pop-up blockers away from your sweet, sweet JSTOR articles! We’re sorry you had to deal with that. (And hope you didn’t break your computer.) We're aware of how distressing it is to finally find that perfect article only to have it snatched away. But don’t worry! You’re not alone with this sneaky problem. Web browsers generally have a default setting that blocks all pop-ups. 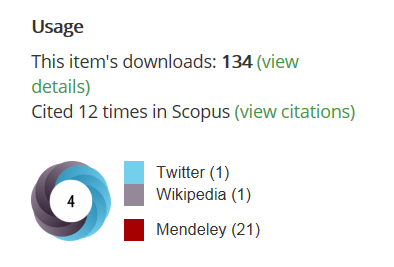 While this is mostly good for the health of your computer (and your personal sanity) pop-up blockers can’t differentiate between ads for the latest internet scam and pop up PDFs of scholarly articles. This is something that users have to manually change within their browser settings. Sound scary? We promise that it’s not. Last year we announced that ScienceDirect would no longer be supporting Internet Explorer 8 as of 1 January 2016. We wanted to make sure you are aware of this and explain why. In 2014, Microsoft announced that it would only support the most recent IE browser version with technical support and security updates. At ScienceDirect, we’ve chosen to follow Microsoft’s lead as we believe this will allow for the best overall user experience as well as allow you to take full advantage of our new features and functionality. We therefore encourage you to update to the most recent version of IE now – or consider another supported browser option.